Investment in Canada’s oil and gas industry is expected to fall again this year as higher taxes and regulatory uncertainty persuade investors to spend elsewhere, says the head of a group that represents Canada’s oil and gas industry. 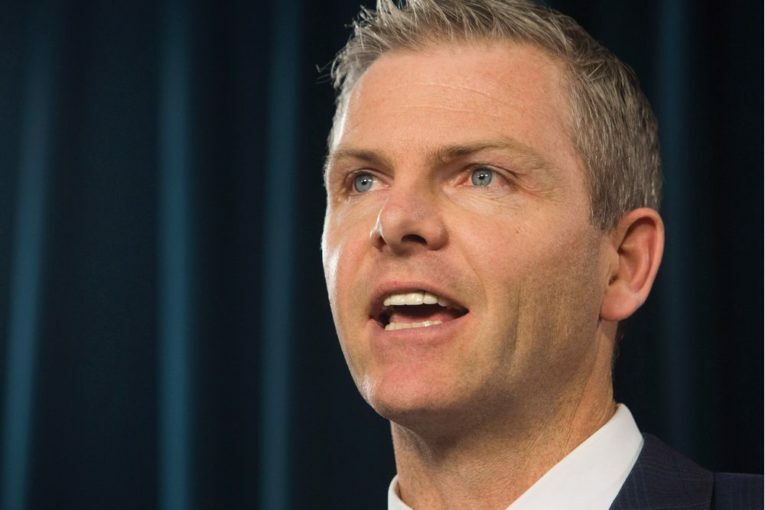 “We need some urgent action, now,” said Tim McMillan, CEO of the Canadian Association of Petroleum Producers, citing in particular recently reduced corporate taxes and regulatory burden by the U.S. under President Donald Trump. “We’ve seen other countries announce that in light of the tax changes just recently in the U.S. — China, Japan, Russia — have all said they’re going to look at their tax policies to ensure that they are competitive,” he said. McMillan appeared at a news conference in Ottawa one day before the federal budget is to be presented but the event was cast as the introduction to a series of economic reports, not pre-budget advice. He said regulatory confusion and delays in Canada have prevented the timely completion of pipeline projects such as the Trans Mountain expansion, leading to difficulty in getting crude oil to markets and the current steeper-than-usual discounts being paid for Canadian oilsands crude compared with benchmark New York-traded oil. Analysts at Calgary-based AltaCorp Capital Inc. said in a report published Monday that poor pipeline access has hurt Canadian energy companies to the extent that their stock prices have underperformed U.S. companies since the downturn of 2008-09. “The absence of adequate market access for crude oil out of Canada has repeatedly impeded equity valuations and is once again driving a wedge between the performance of Canadian investments and global alternatives,” it said. Keith Stewart, a senior energy strategist for Greenpeace, criticized CAPP in an emailed statement for wanting Canada to “race Trump to the bottom” on environmental regulation. “Delaying the transition to a low-carbon economy may help their short term prospects, but it would be a kick in the face to our kids’ future,” he said. McMillan said initiatives including the recently proposed replacements of the Canadian Environmental Assessment Agency and the National Energy Board are harming Canada’s reputation as a transparent and fair place to do business. He said capital investment in the oil and natural gas sector increased globally in 2017, but fell in Canada to $45 billion, down 19 per cent from 2016 and 46 per cent from 2014. In the United States, he added, spending last year increased by 38 per cent to $120 billion. Suncor Energy CEO Steve Williams said on a conference call earlier this month that “Canada needs to up its game” to attract investment away from the U.S.
McMillan said he’s heard from other Calgary-based energy CEOs with operations in the U.S. who say lower taxes are making them more likely to invest there than in Canada. CAPP says energy sector investment is a national concern because the sector generated about $19 billion in revenue for all governments in 2015 and accounted for 533,000 jobs across Canada in 2017.